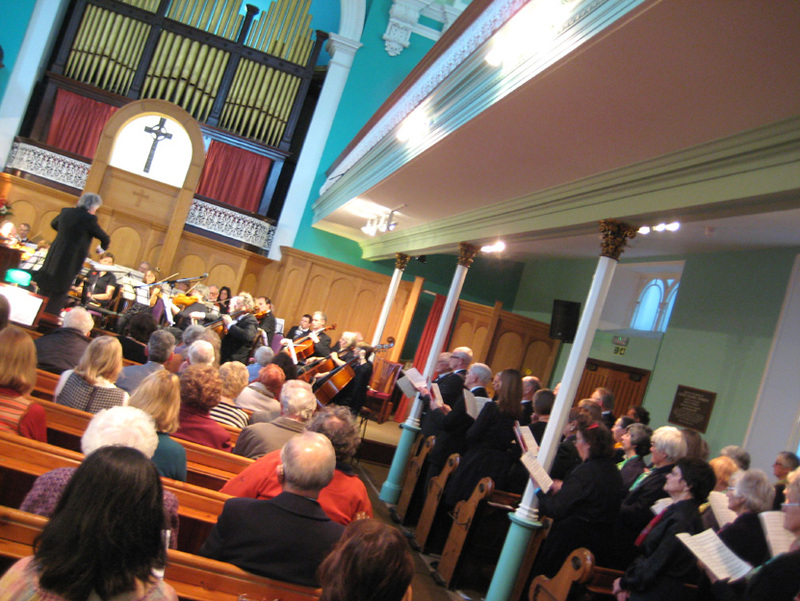 When St Gregory’s Arts Centre closed, the Choral Society disbanded, but regrouped as The Oriole Singers under the direction of Jodie Butler, and with their long-term accompanist Vaughan Brooks. In September 2011, Martin Wyatt took over again as conductor, and reunited the Singers and Orchestra in that year’s Remembrance Concert, with more collaborations to follow. Find out more about the recent activities of The Oriole Singers on Facebook. Sunday 3rd December 2017 at 7pm at The Maddermarket Theatre, Norwich – an orchestral concert by St Gregory’s Orchestra, joined by our Singers for Handel’s Messiah Part One. 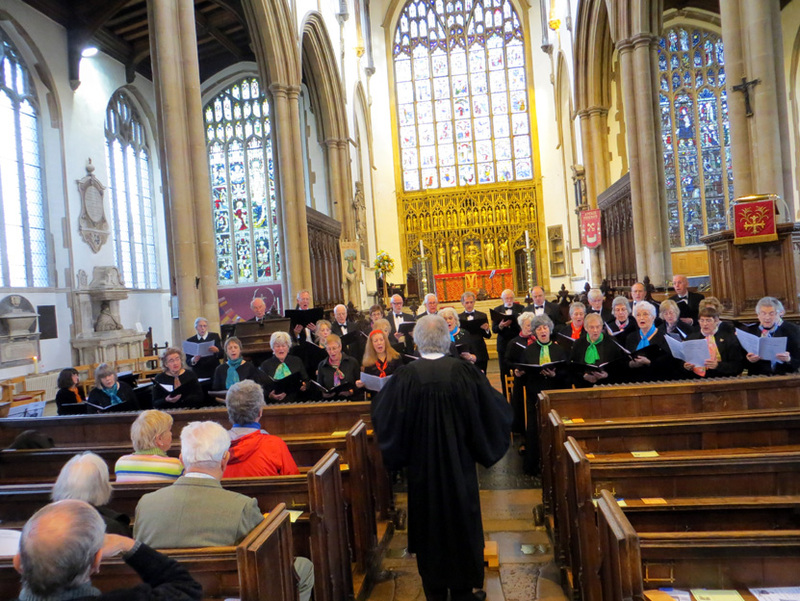 All concerts (except at the Maddermarket) are admission-free, with retiring collection for charity. Martin is keen to encourage additional singers – sopranos, alto, tenor and bass – to join the choir. Rehearsals take place on Friday afternoons during term-time from 12:45-2:00pm. If you are interested in becoming a member, please email Martin Wyatt – martingwyatt@gmail.com. Friday 10th November 2017 at 1:30pm at St Peter Mancroft Church: Remembrance Concert – “Songs and Poetry of the Great War”, featuring the first performance of Requiem by Martin Wyatt; and Requiem by Gabriel Fauré (accompanied by members of St Gregory’s Orchestra). Friday 23rd or 30th June 2017 at 1:30pm at St Peter Mancroft Church: Selections from Showboat, plus Fool on the Hill – songs by The Beatles. Friday 7th April 2017 at 2pm at Princes Street United Reformed Church, Norwich: Stainer’s Crucifixion with soloists Paul Appleby (tenor) and David Catchpole (bass). Sunday 12th March 2017 at 6:30pm at St Luke’s Church, 61 Aylsham Road, Norwich: Jesus Christ Superstar – a concert abridged version of the hit musical by Andrew Lloyd Webber and Tim Rice. Saturday 3rd December 2016 at 10:30am at St Luke’s Church, 61 Aylsham Road, Norwich: Messiah Part One by Handel (accompanied by members of St Gregory’s Orchestra). Friday 11th November 2016 at 1:30pm at St Peter Mancroft Church: Remembrance Day concert, recalling the Battle of the Somme: featuring The Breaking of Nations by Beryl Antony; and Requiem by Gabriel Fauré (accompanied by members of St Gregory’s Orchestra). Friday 24th June 2016 at 1:30pm: Selection from South Pacific by Rodgers & Hammerstein; Fool on the Hill – a new choral arrangement of Beatles’ songs; and a string quartet arrangement by Eric James. Friday 18th March 2016 at 1:30pm: Music by Franz Schubert, featuring Song of Miriam (the story of the passover), Ave Maria (with guest soloist Vernon Holt) and German Mass (sung in English). Friday 4th December 2015 at 1:30pm: Vivaldi’s Gloria in D, the first performance of The Advent Prose: Rorate Caeli arranged by Beryl Antony, Christmas-time, Op 32 – a glee composed by Martin Wyatt in 2003 – and an audience carol, It came upon the midnight clear. Friday 26th June 2015 at 1:30pm: Fiddler on the Roof. Friday 27th March 2015 at 1:30pm: Olivet to Calvary by Maunder. Friday 28th November 2014: Hear My Prayer by Mendelssohn, Roses of Picardy by Haydn Wood (soloists Martin Wyatt and Carol Lloyd), Cantata: The Breaking of Nations by choir member Beryl Antony based on words by Thomas Hardy, and a Choral Arrangement from Les Misérables by Claude-Michel Schönberg. 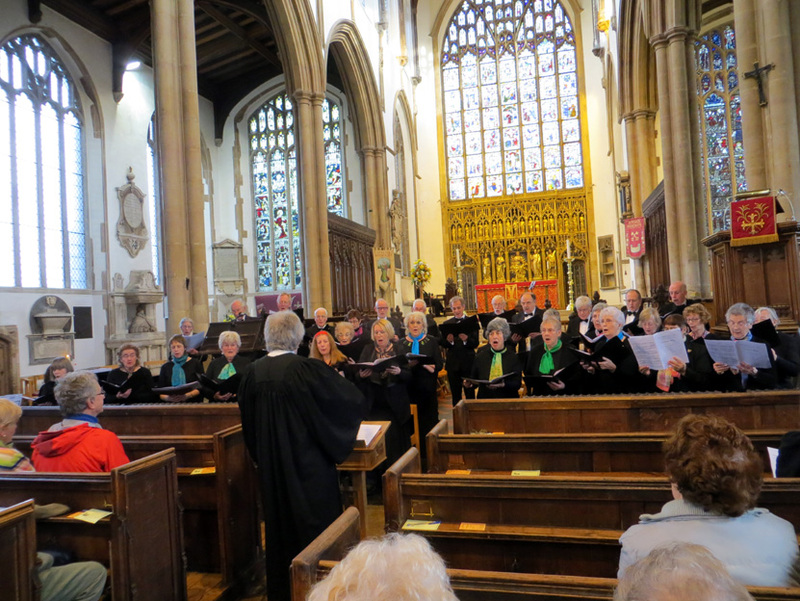 We dedicated this concert to the memory of John Foster, an enthusiastic member of our choir, deeply missed for his warmth of spirit, dedication and good humour. Friday 4th July 2014: A concert with an American theme, including a selection from Showboat. Friday 29th November 2013: Faith and Frivolity – A Lunch-time Concert Party, with Schubert’s German Mass & Selections from Lionel Bart’s Oliver! featuring Evelyn Crow as Nancy and John Foster as Fagin; plus Frank Pond: composer/cellist. Friday 5th July 2013: Hiawatha’s Wedding Feast: a Concert Party celebrating Marriage, featuring: Opening hymn, ‘For the Beauty of the Earth’; ‘Sunrise, Sunset’ from Fiddler on the Roof; Cello solo ‘To Marriage’ by Frank Pond; Reading from Kahlil Gibran’s ‘The Prophet’; ‘Married’ from Cabaret; Pipe solo, ‘An Irish Wedding Jig’; ‘Ashokan Farewell’, a Red Indian Lament on violin; Samuel Coleridge Taylor’s ‘Hiawatha’s Wedding Feast’. Friday 15th March 2013: Aspects of Love – A choral Suite from the operetta by Sir Andrew Lloyd Webber plus “Ode to the Five Senses” and much more.